Poet and essayist Joseph Brodsky won the Nobel Prize for Literature in 1987, becoming at age 47 one of the youngest laureates in this category. As a young writer, he was sentenced to internal exile in the Soviet Union for social parasitism-a charge often waged in Soviet Russia against those who did not work, study, or serve, or were political or intellectual dissidents. Brodsky was freed only after protests by prominent Soviet and foreign figures such as Jean-Paul Sartre and Dmitri Shostakovich. Expelled from the U.S.S.R., Brodsky moved to the United States in 1972, where he taught at several colleges and universities. His poems, described as meditative and traditional in form, explored personal themes of universal concern: mortality, human life and frailty. 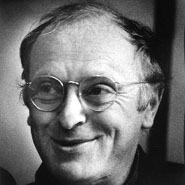 Brodsky held the title of poet laureate of the United States from 1991 to 1992.